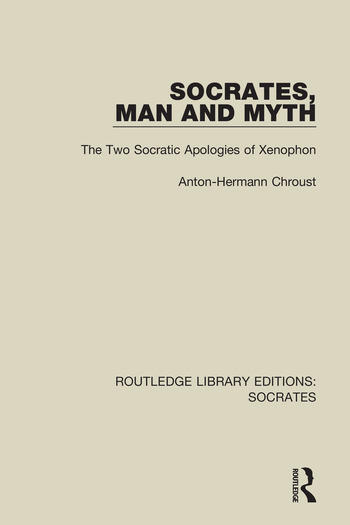 The purpose of this book, first published in 1957, is to make a critical analysis of the controversial Socratic problem. The Socratic issue owes its paramount difficulty not only to the status of available source materials, but also to the diversity of opinion as to the proper use of these materials. This volume offers a new approach to the problem, and a starting point to further investigations. Anton-Hermann Chroust was a German-American jurist, philosopher and historian. Chroust was a professor of law, philosophy, and history, at the University of Notre Dame from 1946 to 1972. Chroust was best known for his 1965 book on the American legal profession titled The Rise of the Legal Profession in America.